Previous studies describing the symptomatic onset of type 1 diabetes (T1D) and rate of beta-cell loss (C-peptide) support the notion that childhood onset T1D exhibits more severe beta-cell depletion compared to adult onset T1D. To test this notion, we performed whole pancreas analyses in two T1D cases, one of childhood onset (7-year old, onset at 1.5-year) along with an adult onset case (43-year old with onset at 27-year). Both cases were matched for age and gender with control subjects. Striking regional differences in beta-cell loss were observed in both T1D cases, with severity of loss in the order of tail > body > head regions. In contrast, pancreatic alpha- and delta-cell mass was similar in controls and T1D patients. In the childhood onset T1D case, no intra-islet beta-cells were detected while in the adult onset case, beta-cell containing islets were found, exclusively in the head region. 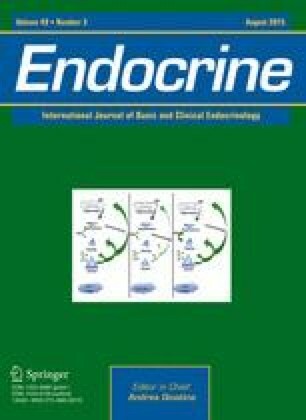 In the latter case, considerable numbers of small cellular clusters negative for three major endocrine hormones were observed, in islets with or without beta-cells. Ultrastructural analysis suggests these cells correspond to degenerating beta-cells, with empty granular membranes and abnormal morphology of nuclei with intranuclear pseudo-inclusions, adjacent to healthy alpha- and delta-cells. These results support a hypothesis that during T1D development in childhood, beta-cells are more susceptible to autoimmune destruction or immune attack is more severe, while beta-cell death in the adult onset T1D may be more protracted and incomplete. In addition, T1D may be associated with the formation of “empty” beta-cells, an interesting population of cells that may represent a key facet to the disorder’s pathogenesis. The study is supported by US Public Health Service Grant DK-020595 to the University of Chicago Diabetes Research and Training Center (Animal Models Core), DK-072473, AG-042151, and a gift from the Kovler Family Foundation. The authors would like to acknowledge the generosity and support of Dr. Martin Jendrisak and the entire team of the Gift of Hope Organ & Tissue Donor Network in Chicago for providing the human pancreas tissues used in the present study.